Almost 18 years after the last Dragonball Z film was shown in cinemas, Toei Animation released the 14th theatrical film of the series. 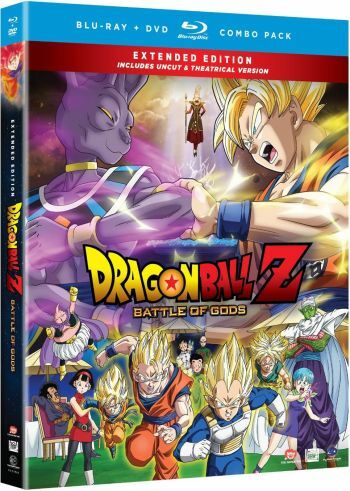 It is called Dragonball Z: Battle of Gods and is different from its predecessors because it directly influences the story of the manga. Furthermore, Dragonball creator Akira Toriyama was personally involved in the development of the story of the film, which is also the longest of all with a runtime of 85 minutes. And after almost a year has already past since it was released in Japanese cinemas, Toei Animation announced that 20th Century Fox and Funimation will put out an Extended Cut of the film. It has its US release date on October 7th, 2014 and will mark the first extended version in the line of theatrical films in the whole franchise.